In a surprise move, Justin Trudeau has completely changed the debate over what to do about the Senate. 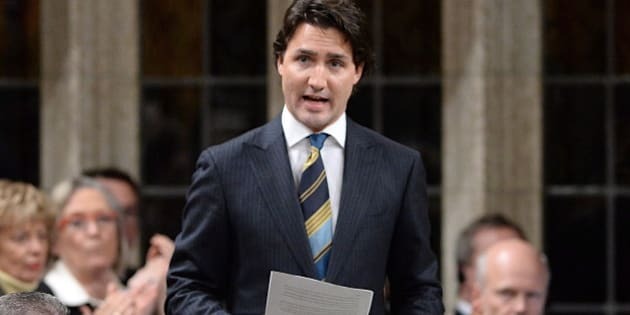 By removing his 32 Liberal senators from caucus and making them independents, Trudeau has taken a more significant step towards substantial Senate reform than either the New Democrats or Conservatives. There are legitimate questions to ask about the timing of the move and why Trudeau did not do this earlier. The decision is, in part, so surprising because he had never dropped any hints that something like this was even being considered. If the auditor general's report on Senate expenses turns out to be bad for now formerly Grit senators, Trudeau's move will look more cynical. But his pledge not to name any new Liberal senators should he form government, and instead set up an independent commission to nominate Canadians to the Red Chamber, gives his decision greater heft. Concerns raised about accountability, passing future legislation, and democratic legitimacy are likely to fall flat outside of the Ottawa bubble. Politicians, pundits, and the press gallery tend to pay much more attention to process than the average Canadian, who has little sympathy for sitting senators and their staff. That Trudeau is washing his hands of them will likely be seen very favourably. The arguments against his proposal are rather thin. If a party is defeated at the polls because of the actions of some senators, there is little the party can do about it — those offending senators are not in danger of losing their seats. Having an independent commission name non-partisan Canadians to the Senate is certainly an improvement over the current system, which allows the party that forms government (with, say, less than 40 per cent of the vote) to name 100 per cent of new senators. And the argument that party affiliations are needed in the Senate to pass legislation is an admission that senators are just there to rubber-stamp the work of the House of Commons. In any case, party affiliations means that when there is a change of government, the incoming party is unlikely to have a majority waiting for them in the Senate as it is. Trudeau's move certainly sets him apart from his two rivals. The Conservatives have been in power since 2006 and have hardly taken any real steps towards Senate reform. Their long-delayed referral to the Supreme Court about whether they can unilaterally enact reform legislation is unlikely to get a positive answer, kicking the can further down the road. New Democrats have long supported abolition, but whether it could actually be accomplished without a drawn-out constitutional debate is doubtful. And without a single senator, they have nothing to lose. Of the proposals for Senate reform on offer, Trudeau's is the most practical. That will position him advantageously come 2015, when Canadians are still likely to be fed-up with the antics in the upper chamber. Voters may prefer the idea of a fully elected Senate or an abolished one, but it will be easy for Trudeau to argue that they are unlikely to happen and that, unlike his opponents, he is the only one to have actually done something about it. That is, of course, if the Conservatives do not change their strategy significantly between now and 2015. But it is hard to imagine the Tories actually going ahead with radical reform before the next vote, when their entire re-election strategy is about casting themselves as the level-headed administrators with a laser-focus on the economy. It was rather cold to drop this on his former Liberal senators with little notice. But senators are unlikely to be seen as victims by Canadians who may appreciate that Trudeau made such a tough decision — it is undoubtedly the most decisive action he has taken as leader to date. It inoculates him somewhat from any further trouble in the Senate, undermines his opponents’ arguments, and puts them off-balance. It is hard to see this move by Trudeau as anything but win-win. Éric Grenier taps The Pulse of federal and regional politics for Huffington Post Canada readers every week. Grenier is the author of ThreeHundredEight.com, covering Canadian politics, polls and electoral projections. You can pre-order his eBook, "Tapping into the Pulse", a retrospective of polling in 2013, here.